Molded to fit body. Waterfall edge maximizes leg support. Lumbar support reduces back fatigue. Button glides help protect flooring. 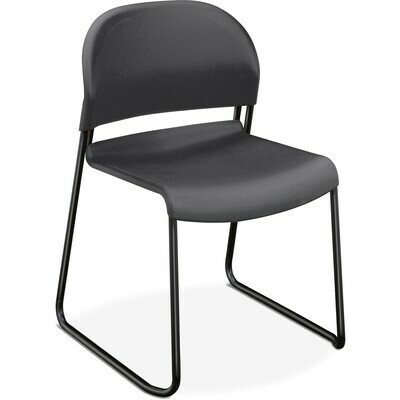 Wallsaver design allows chair clearance when frame rests against baseboard. Four chairs per carton.